Finn Geotherm has been selected as a finalist in the prestigious Energy Awards 2018. The renewable heating expert has been shortlisted in the Residential Energy Project of the Year category for its landmark ground source heat pump district heating installation for Flagship Group housing association at Orchard Close in Watton, Norfolk. The national Energy Awards reward excellence in the energy business, from new energy efficient products and technology to local authority initiatives and commercial and residential installations. Winners will be announced at the high profile awards event on 5th December at Hilton Park Lane, London. Finn Geotherm’s project at Orchard Close is already highly regarded, having been awarded the prestigious title of Sustainable Project of the Year in the HVR Awards 2017. 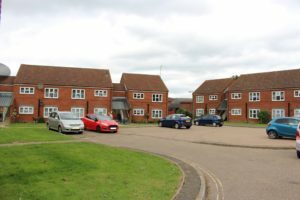 For more details on the Orchard Close installation, read the case study or, to find out about the features and benefits of district heating, see our district heating page.